I know that I have mentioned this maybe once or twice, but I LOVE what I do and my brides are the BEST! Lea Ann was no exception! She is a great example of the bride collecting brooches from family and friends… they did such a great job! Included in her box of goodies were a few personal pieces, both her parents have passed, so she sent a ring of her mothers and her baby bracelet for me to restring. To add to the sentiment I asked her for a photo of her parents, she searched and found a great photo of them early in their marriage, I framed it and put it where she will be able to see it. 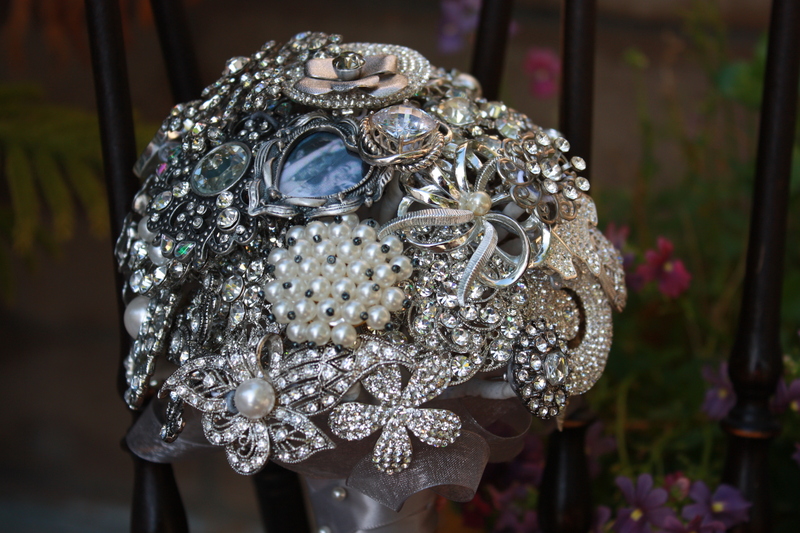 Truly a one-of-a-kind Brooch Bouquet. Lea Ann, along with her groom a few close friends and family will head to Hawaii next month to exchange their vows. 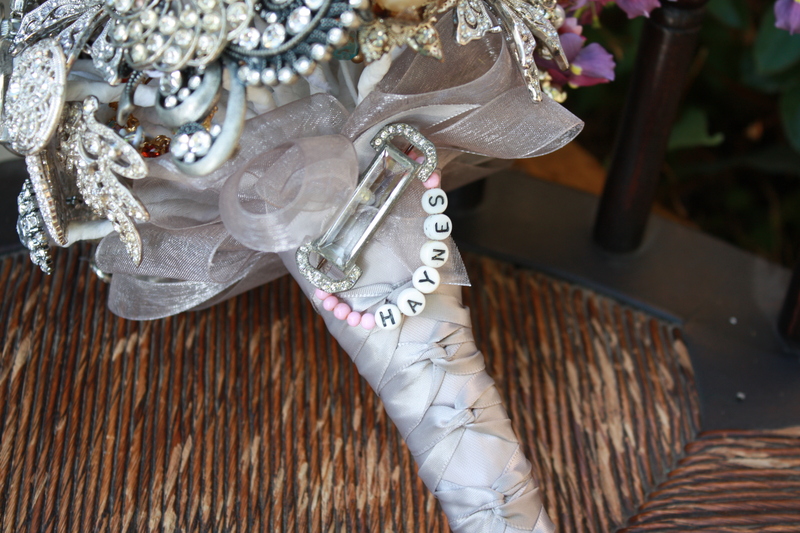 ( I wish I traveled as much a my brooch bouquets did)! Thank you Lea Ann for trusting me with such precious treasures. Aloha! ← Wedding Chicks Top 10 Posts 2011!